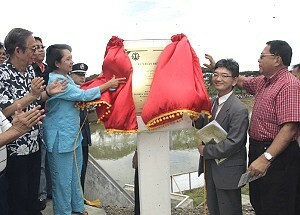 LAS NAVAS, Northern Samar – Wearing a powder blue pant suit, President Gloria Macapagal-Arroyo beamed and waved to the crowd before unveiling the project marker of the Las Navas bridge at 11:25 Tuesday morning. Immediately after arriving from Manila early Tuesday morning, the President went on board on the presidential chopper which was waiting for her at the Catarman Airport. Before the site of engagement, the President changed her mode of transport and went on board a shuttle bus. She was accompanied by Northern Samar Governor Raul A. Daza, his son Congressman Paul Daza of the First District, Congressman Emil Ong of the Second District, DPWH Secretary Hermogenes Ebdane, DepEd Secretary Jesli Lapuz, DOTC Secretary Leandro Mendoza, Press Secretary Cerge Remonde, DENR Secretary Angelo Reyes, GSIS General Manager and other officials of Eastern Visayas. While in route to the area of engagement, the President was “escorted” by the five choppers which hovered the Northern Samar skies until the shuttle finally arrived at the site. After the brief inaugural rites, the President went back to the shuttle bus and proceeded with the traditional drive through the 121.35 lineal meter long, 7.32 meter wide bridge span along with the department secretaries and a group of guests who accompanied her on the presidential transport. She then alighted from the mini bus, went down from the bridge and immediately proceeded to a beautifully decorated gazebo or an open-type “bahay kubo” where the Regional Media Interview (RMI) was conducted with newscaster Tito Tepace of Aksyon Radyo Balita, Radio Station DYSM in Catarman, Northern Samar. The gazebo was set-up near the river bank. Meanwhile, Vice-Governor Antonio Lucero said that the construction of the Las Navas bridge would be of great help to the people of Las Navas and the whole of Catubig Valley. With the bridge connecting Las Navas to Catubig, progress in this area would be definitely be within reach, the Vice-Governor said. The Vice-Governor then recalled that during his younger days, he used to take water transport in going to Las Navas or Catubig. This kind of transport becomes more difficult during stormy days where one has to contend not only with the weather but the strong current of the river. The construction of the Las Navas bridge has now provided an alternative not only to the commuting public but to some businessmen as well who have to transport goods using the river bank. The Las Navas bridge is considered an integral part of the government’s socio-economic development for Samar Island. It is one of the component projects of the Department of Public Works and Highways (DPWH) under the umbrella of the Help for Catubig Advancement Project (HCAAP) and funded by the Japan International Cooperation Agency (JICA). MAASIN CITY – Electricity consumers in this city and the whole Southern Leyte province are in for a bitter pill to swallow. The Southern Leyte Electric Cooperative (SOLECO) is eyeing to raise its power rates to finance a number of capital infrastructure projects this year at the earliest, all designed to deliver efficient electricity, said Rosello Gerong, General Manager. Among SOLECO’s initiatives now under consideration are its normal projects consisting of upgrading on distribution lines, transformers, electric posts and other related materials and accessories which cost P13 Million, Gerong said during the public consultation held Thursday at the Casa Ampil here. Another set of development thrusts, called major projects, covered rehabilitation/revamp of distribution lines, costing P26 Million; the rehabilitation of the mini-hydro in Saint Bernard, P20 Million; and the upgrading of the sub-station at Saint Bernard from 5 MVA to 10 MVA, P27 million, for a total of P73 Million. And on top of it all, Gerong disclosed that SOLECO has a mega project, which is the purchase of the Transco-owned transmission line from barangay Tam-is up to its door, at a cost of P120 Million, to be amortized in twenty years. The public consultation, dubbed rules for setting the electric cooperatives’ wheeling rates (RSEC-WR), was held in coordination with the Energy Regulatory Commission (ERC), with ERC Commissioner Jose Reyes attending. Reyes explained that the suggested rates as presented at length by two personnel of the ERC was meant to make life easier for the 119 cooperatives all over the county as their benchmark in the process of asking rate increase in the distribution, supply, and metering (DSM) component of the power industry. With SOLECO classified as belonging to the “B” class of the country’s electric cooperatives, Reyes said the increase for this group as to their DSM was .4004 to be implemented in staggered basis for three years starting September this year. When it was SOLECO’s turn to present its desired rate, Gerong said the ERC-suggested hike was way too low compared with its actual need for capital expenditure funding as outlined earlier. Gerong stressed that SOLECO has been paying P2.9 million per month to Transco on transmission charges, also known as monthly rental, for the power delivered in its KV line, or P34.8 million per annum. 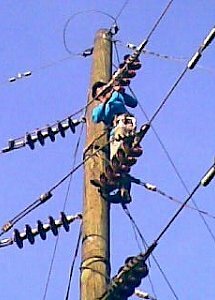 If the KV line can be bought for an amortization of P6 million a year for twenty years, with additional maintenance cost of P5 million per year, the cost of maintaining the KV line once SOLECO would own it would only be P11 million per year, Gerong added. Two City Councilors present during the hearing had other views. Councilor Nestor Sy suggested that SOLECO approach local government units for help in defraying the monthly cost of paying the transmission charges, adding that there’s no guarantee of better, investor-friendly service even if the power utility purchases the KV line. City Councilor Rene Hatayna, for his part, also opposed having any increase for now, saying the people have been hit hard and reeling from the global and local financial crisis. Gerong, however, countered that efficient power service does not necessarily mean cheap rates, saying that for Southern Leyte province and the city the trend has been in the services industry sector and eco-tourism, areas that require stable electricity and efficient service. The rest of the audience, composed mostly of barangay officials and representatives of offices and the private sector, raised their hands to agree with SOLECO’s impending rate increase. In a brief talk with PIA after the public consultation/hearing, Gerong said the current basic rate is P7.55 per kilowatt hour (KWH), and with the improvements proposed, the rate would be in the territory of around P 9.00 per kwh. TACLOBAN CITY – The right to name and nationality are among the basic human rights a person should have in order to determine his existence. The National Statistics Office (NSO) thru its Regional Director Raul F. Dones is targeting a 100% registration in region 8 with the help of other national agencies, media, church, academe and local government units to a full blown awareness campaign that will lead to the increased participation rate of all parents who give birth to register their child after delivery or within 30 calendar days. Director Dones is optimistic that the re-activation of the Regional Council on Civil Registration (RCCR) will help achieve the “Target Zero Program Rehistro” which their office launched in 2006 to complement a 100% registration for the period 2005-2010 in accordance with the National Plan of Action for Children and Child 21. In 2008, a survey was conducted by Plan Philippines in covered Plan areas in region 8 and found out that 9,666 children, ages 0-5 years old are unregistered. According to Rodel Bontuyan, Plan Philippines Area Manager-Eastern Visayas, the unregistered children, which was figured out was just within the Plan areas covered under their support program. He said that in region 8 there are 143 municipalities and they surveyed only 19 municipalities where they got their sample and population. The 9,666 unregistered figures, which was gathered, represents only to children 0-5 years old, how much more for those children or persons above the age bracket who were not registered, he said. The Area Manager of Plan Philippines in Eastern Visayas challenged the newly re-activated RCCR to look into the matter on how to address the increasing number of unregistered children and ask the NSO to extend assistance by entering into the roster of registered children in the NSO database to give them the right to a name and enjoy the benefits accorded to registered children. While it is true that Security Paper (SecPa) coming from NSO is a duly recognized document governing government and commercial transactions, the NSO had informed that Security Documents (SecDoc) issued by the civil registrar is also acceptable, however it needs to be authenticated by the NSO for conformity with the data provided in the security paper. The PhilHealth had assured that they will accept those claimants of insurance who have security documents provided it is authenticated by the NSO. CATARMAN, Northern Samar – The people of the hinterland towns of Catubig and Las Navas both in Northern Samar province, are already excited to welcome President Gloria Macapagal-Arroyo into their midst. If and when her visit to Northern Samar on Tuesday, June 16, pushes through, President Gloria will become the first President to visit Catubig and Las Navas, Las Navas Mayor Arlito Tan said. The people of Las Navas have many things to thank the President for. The Catubig-Las Navas Bridge which the President will inaugurate on Tuesday links the municipality of Las Navas to Catubig town by land transport. Ever since, the municipality of Las Navas has only been accessible through navigation along the Catubig river with the use of pump boats and bancas. The pump boats ply from Las Navas to Catubig daily at P40 per person. These small boats dock at small docking facilities called "Look" in both Catubig and Las Navas. It only takes 30 minutes to get to Las Navas from Catubig, and boats traverse the river daily, leaving Las Navas at 5:00 AM and arrives at around 5:30 AM in Catubig and vice versa. The municipality of Las Navas is located at the heart of the island of Samar. It is bounded on the north by Catubig, Northern Samar, on the east by Jipapad, Eastern Samar, on the west by Silvino Lubos, Northern Samar and on the south by the municipality of San Jose de Buan, Western Samar (Samar). Motorboats and bancas are also used in going to the different barangays, although hiking is still practiced by many barangay folks in going to and from the Poblacion. “Now that there is land transport because of the bridge, it will no longer be too difficult to reach my school at the Las Navas Agri-Industrial School,” Ms. Viviene who is six months pregnant, said referring to the school just below the bridge. Although there is a complete elementary school district offering all level, the other 39 barangay primary schools offer limited levels. It has a complete secondary school which offers Agro-Industrial Technology and basic academic requirements. People in the area get tertiary courses from an affiliate of the University of Eastern Philippines (UEP) located in the town of Catubig, although well-off families prefer to send their children to various colleges and universities in Metro Manila, the country's capital. There is a good reason to the great excitement and expectation of the people of the two towns. The HCAAP project when fully completed, will impact a great change in the economic situation of the people in the area. Farmers could now bring their products more easily to Catarman and will also insure that fresh farm produce from these areas are able to enter the market without being spoiled and with lesser danger of accidents which the perils of sea transport brings. On the other hand, Catubig, also an inland town, lies on the banks of the Catubig River, a waterway that empties near Rauis and the traditional passage to the town. Also called Cagninipa after an aquatic palm, it is located south of Palapag. The Catubig Valley, known as the rice-producing valley in Northern Samar, is where one can find the municipality of Catubig, identified as the potential site for developing an intensive rice producing area in Northern Samar. Said undertaking is known as the Help for Catubig Agricultural Advancement Project (HCAAP), a priority water sector (irrigation) project which is part of President Gloria Macapagal Arroyo's Medium Term Development and Investment Plan under the Super Region scheme. The project aims to alleviate poverty by raising income level of farmers, generate employment opportunities and improve the social infrastructure and services of the target areas in Catubig and Las Navas, Northern Samar. The project components are civil works, schistosomiasis control, agricultural support services, institutional development and procurement of equipment. The implementing agencies are the National Irrigation Administration as lead agency, the Department of Public Works and Highways, the Department of Health, Department of Agriculture, the Province of Northern Samar and the municipalities of Catubig and Las Navas. The bridge which the President will inaugurate is a part of the HCAAP implemented by the Department of Public Works and Highways. CATARMAN, Northern Samar – President Gloria Macapagal-Arroyo will distribute Pangulong Gloria Scholarship vouchers to 100 young people of Las Navas, during her visit on June 16, TESDA Regional Director Juan Sabulao informed. Director Sabulao said that the students will be enrolled at the Las Navas Agro-Industrial School which is under the management and supervision of TESDA. As of May 2009, Region VIII has a total of 8,408 Pangulong Gloria Scholarship Beneficiaries who are enrolled in different Tech-Voc Schools in the region, Director Sabulao said. For the Province of Northern Samar, there are 2,012 scholarship beneficiaries so far, Director Sabulao informed. In line with the Economic Resiliency Program of Her Excellency President Gloria Macapagal-Arroyo, the Pangulong Gloria Scholarships provide free training, training support fund and free competency assessment to support job creation and job preservation. The scholarship program hopes to produce a pool of qualified and globally competent workers who are Job Ready. The program also aims to develop skills and competencies of the unemployed and underemployed through training programs for pre-employment, skills upgrading and productivity enhancement. The Scholarship Program of President Arroyo also hopes to empower public and private TEK BOK Providers in expanding their absorptive capacities to enable them to offer programs for various qualifications, including higher levels of technology where jobs are available in the labor market. Aside from the Pangulong Gloria Scholarship vouchers, President Arroyo will also award assistance to beneficiaries of the CLEEP which are being implemented by the various government agencies. TACLOBAN CITY – Leyte Governor Carlos Jericho L. Petilla was part of the 111th Independence Day “Rigodon de Honor” rites at the Ceremonial Hall of the Malacanang Palace. Governor Icot as he is fondly called by his constituents was dashing in his barong tagalong. His partner is the beautiful Congresswoman Nikki Prieto-Teodoro, the wife of Defense Secretary Gilbert Teodoro. 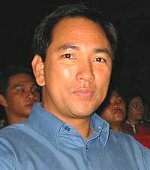 Now it could be told that Governor Petilla is not only an excellent singer, he could also dance well without being nervous in the presence of the political and economic elite of the country. It was said that Governor Petilla was so surprised when he was called about his being part of the Rigodon de Honor at Malacanang. He tried to beg off suggesting if it was okay that he sang instead of dancing. The answer was, “You dance first, before you sing.” Indeed, he did dance and well at that. The rest is history. President Arroyo led twenty pairs in this year’s “Rigodon de Honor” to cap the country’s celebration of the 111th Independence Day. President Arroyo hosted the traditional Independence Day reception with a dance and cocktails for members of her Cabinet and Congress, the diplomatic corps, the top brass of the police and military, prominent business leaders, former beauty queens, and other noted personalities in Philippine society. The social gathering began 6 o’clock in the evening at the Palace Ceremonial Hall on the second floor of the presidential residence. The ladies wore Filipiniana terno while the men wore barong Tagalog. They were paired according to their height. The Rigodon dancers included one of the President’s daughters-in-law, Ma. 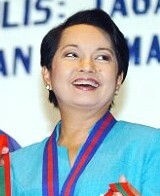 Victoria “Kakai” Arroyo, wife of Camarines Sur Rep. Diosdado Ignacio “Dato” Arroyo. Another participant is Dina Arroyo-Tantoco, daughter of presidential brother-in-law Negros Occidental Rep. Ignacio “Iggy” Arroyo and wife of one of the scions of the Rustan’s chain of department stores. Representative Trisha Bonoan-David was also in the Rigodon. Other female participants of the Rigodon include the President’s personal stylist Joanne Andrade-Zapanta; former beauty queens Miriam Quiambao and Precious Lara Quigaman; Sunshine Cruz-Montano, wife of actor Cezar Montano; Lizzie Zobel de Ayala, wife of industrialist Jaime Augusto Zobel de Ayala; and Vivienne Tan, daughter of taipan Lucio Tan. Also among the female participants were Julie Defensor, wife of Philippine National Railways chief Michael Defensor; Belinda Adora; Dinagat Gov. Jade Ecleo-Villaroman; Mimi Aquino; dancing instructor Becky Garcia; Anette Gozon-Abrogar, socialite-entrepreneur Frannie Jacinto; Carol Quimson, Chiqui Roa-Puno; and Liana Romulo, daughter of former Foreign Affairs Secretary Roberto Romulo. Heading the list of male participants were ambassadors Luis Arias of Spain and Roderick Smith of Australia; retired Armed Forces chiefs of staff, Genarals Narciso Abaya and Alexander Yano who is now Philippine ambassador to Brunei Darussalam; special envoy on renewable energy Vicente Perez; Sen. Ramon “Bong” Revilla Jr.; Economic Planning Secretary Ralph Recto; Presidential adviser on political affairs Gabriel Claudio; Congressmen Dong Gonzalez, Roman Romulo, and Anton Lagdameo; Governors Dax Cua (Quirino Province), and Michael Keon (Ilocos Norte). The rest are Kenneth Yang, son of Philippine McDonald’s franchise owner George Yang; Ali Atienza, son of Environment Secretary Lito Atienza; Buddy Cunanan; Atom Henares; Raul Manzano, and STAR columnist Babe Romualdez. The Rigodon was choreographed by and painstakingly rehearsed under the direction of Pia Dala, Bujing Danao and Renato Delgado. TACLOBAN CITY – The APAC Customer Services is planning to conduct its jobs fair this coming month of June in two different locations to fill-up the lacking sets and to met the demands of their customers. According to Ma. Soledad Uy, Human Resource-Recruitment Assistant of the APAC customer service that they will conduct a jobs fair on June 12-14 upon invitation of Director Desiderio Belas of the Department of Trade and Industry (DTI) at the Tacloban Convention Center to coincide with the 111th Philippine Independence Day Celebration where overseas and local employment opportunities are available including government agencies under Comprehensive Livelihood Emergency Employment Program (CLEEP) to help ease the burden due to financial slowdown that hit across the globe. Ms. Uy said that prior to the invitation, they had already scheduled a jobs fair on June 19-20 at Baybay, Leyte Function Hall to spread their massive recruitment strategy and to get a well qualified call center agents to man the type of services they employed. The series of jobs fair we are conducting is to generate 120 call center agents for the month of July and to hire 600 additional call canter agents for the month of November to filled-up the required setting capacity of there office, she said. Ms. Uy said that the present setting capacity of the APAC office located at Leyte Academic Center, Palo, Leyte is 1,000, but our present roster of employees is 243. Our office is in dire need of additional manpower to complement the growing demands of our customers, she said. The APAC Customer Service Inc. main headquarters is located in Illinois, with operations located throughout the United States and the Philippines. Ms. Uy further informed that outsourcers offer a multitude of benefits to their client base, including eliminating capital expenses, flexibility, access to qualified labor, reduced costs, advanced management techniques, and the opportunity to gain access to state of the art technology without massive financial outlays. Ms. Uy is urging all persons to take this opportunity to be part of APAC which only means that you too can become an expert and in joining us to help serve our clients' customers better. APAC is the fourth largest domestic provider of outbound and inbound customer relationship management services that offers the programs in either customer care or customer acquisition serving prominent industries such as communications, financial services, insurance, healthcare, logistics, and travel and hospitality. Job applicant’s is advised to bring with them all necessary documents in order to appraised if they possess all the qualifications. Ms. Uy said that it is not necessary that an applicant is a degree holder but of course it is a plus factor but in order to please the APAC Human Resource expert, he must be a fluent in oral and written communication and possess a technical know-how to perform basic computer operations. PASAY CITY – Opposition Sen. Chiz Escudero on Wednesday said, like Singapore’s Lee Kuan Yew, he will have no qualms sending top officials to jail and eliminate government discretion in fighting corruption. “He (Lee) recruited the best and the brightest and gave them the salaries they deserved. 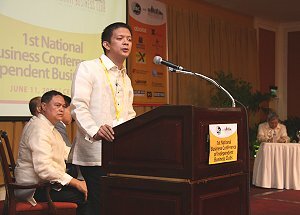 When he caught them stealing, he put them in jail,” the 39-year old lawmaker told a forum of business leaders in Cebu City organized by the Cebu Business Club and the Makati Business Club. Lee, who founded and built Singapore into what it is today, led the city-state for 35 years as prime minister. He was known for his no-nonsense campaign against corruption. Escudero, who has consistently ranked high in recent surveys, also said he would eliminate discretion especially in law-enforcement and revenue-generating agencies as part of the campaign against corruption. According to World Bank, half of every peso that can be collected by the Bureau of Internal Revenue is lost to corruption. The Department of Finance estimates that 240 billion is lost to corruption annually. The UN Development Program, on the other hand, estimates that $1.8 billion a year, or about 13 percent of the government's annual budget, is lost to corruption. Under the Arroyo administration, the Philippines’ ranking in Transparency International’s Corruption Perception Index has spiraled downward. In 2004, it was 102. In 2005, it was 117. In 2006, we were 121st. In 2007, we were ranked 131st. In 2008, we were down to 141st. The listing runs from the cleanest down to the most corrupt. Escudero has filed a bill to require public officials and employees to submit a written permission or waiver in favor of the Ombudsman to look into all deposits of whatever nature with banks or banking institutions. He has also called on officials to voluntarily disclose their SALs (Statement of Assets and Liabilities). Asked to enumerate three things how he would like to be remembered, Escudero said: One, as one who did not steal a single centavo. Two, one who made education as the government’s top priority, and three, as the public official who built the most roads.